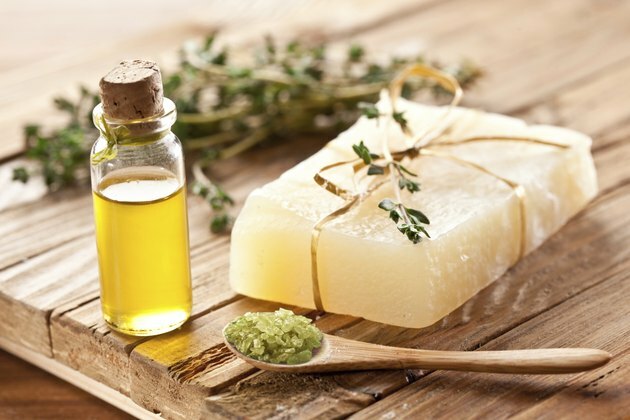 Soaps vary a great deal in terms of their ingredients. For example, while some soaps make your skin dry, other soaps are very moisturizing. Glycerin soaps are considered to be one of the most moisturizing types of soap. The unique quality of this type of soap allows it to be both moisturizing and effective for all different kinds of skin. The benefits of glycerin soap help your skin become healthy and moisturized. 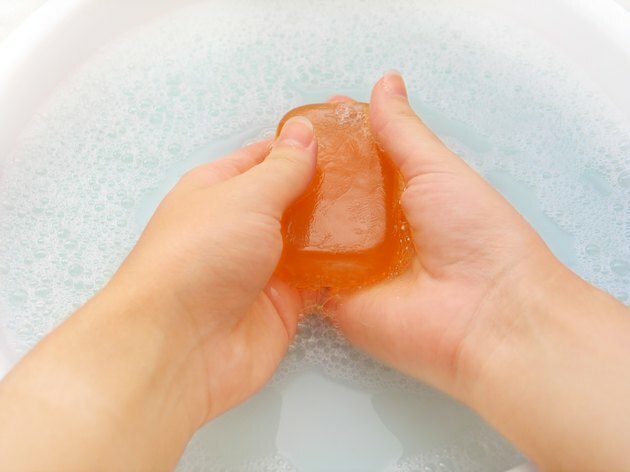 One of the benefits of using glycerin soap is that it can be completely natural, with no synthetic ingredients added to it during the manufacturing process. All soap manufacturers differ, however. While glycerin soap can be totally natural, some glycerin soap manufacturers do add a small amount of synthetic ingredients. 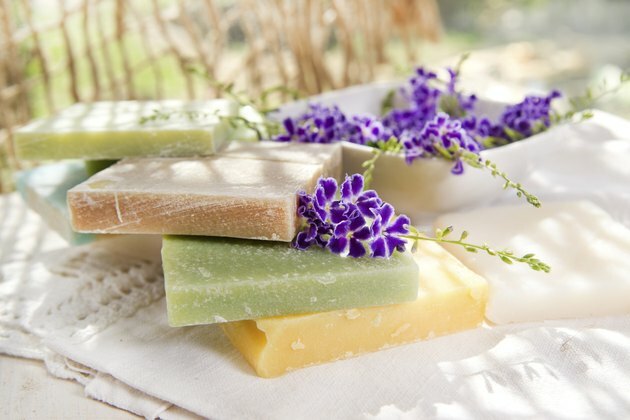 Because glycerin soaps can be completely natural, they are particularly beneficial for people who have sensitive skin. Synthetic ingredients can create skin complications or irritate dormant skin problems. Glycerin soap, on the other hand, can be used for even the most sensitive skin. It can even be used with skin problems like eczema or psoriasis. Glycerin soaps do not irritate the skin or create negative reactions like normal soap does. Glycerin is thought to be a humectant, which means that it can attract moisture. Due to this quality, glycerin soaps attract moisture to your skin and keep it locked in. This provides your skin constant hydration. Unlike some soaps that dry your skin out and make it feel tight and even flaky, glycerin soap keeps your skin feeling more hydrated for several hours after you use it. Using glycerin soap on a regular basis can help your skin become softer and suppler. By keeping your skin well moisturized, you can create the foundation for healthy skin. Completely moisturized and healthy skin prevents you from developing wrinkles, stretch marks and tears in your skin. Although glycerin is a great soap to clean your whole body, using it to wash your face can offer you additional benefits. Using harsh soap that dries out the skin of your face often causes your skin to make up for its dryness by creating extra oil, which clogs your skin and creates skin problems. 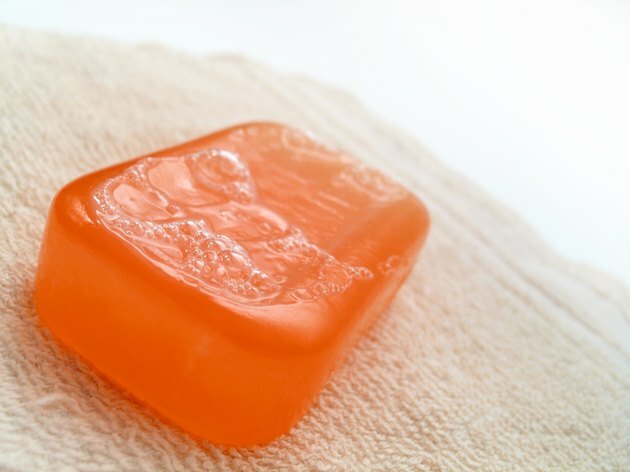 Glycerin soap can help decrease or completely rid you of acne when you use it as a face wash.